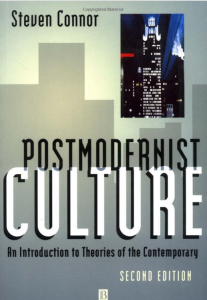 Though I would not recommend this book as a starting point on the subject of postmodernism, it is a detailed analysis of today’s postmodern culture. Connor, Professor of English at Birkbeck College, London University, takes to task any notion of culture being morally neutral. “In popular culture as elsewhere, the postmodern condition is not a set of symptoms that are simply present in a body of sociological and textual evidence, but a complex effect of the relationship between social practice and the theory that organizes, interprets and legitimates its forms.” Interestingly, the two cultural forms he uses to show the effect of a definite philosophy on culture are Rock Music and Style & Fashion. The postmodernist knows that even if we don’t.